OS X Lion will likely be released in the next couple days, and with it will come a big change that will affect almost everyone out there: Apple’s flipped multitouch scrolling to be more iOS-like, effectively tossing every Mac user with a multitouch device topsy-turvy. Many people are going to hate Apple’s decision to turn the way scrolling works on its head, but here at Cult of Mac, we not only love it… we think it’s the future. But it’ll take some getting used to. Here’s our primer on how to start training yourself to use Lion’s “reverse scrolling” right now, today, under Snow Leopard. 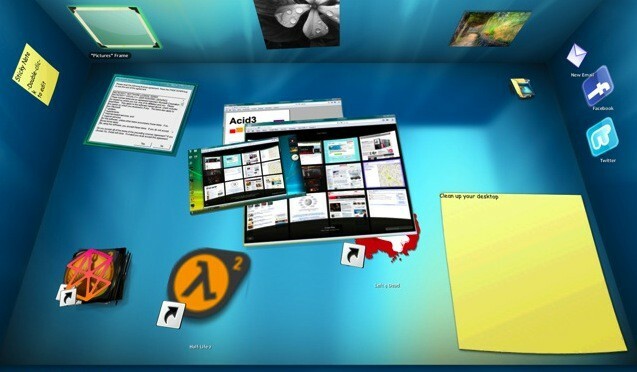 The reason Lion’s new way of scrolling seems so wacky at first is that after almost thirty years of using Macintosh OS, we’ve stopped associating our computer desktop as being analogous to a physical desktop, covered in pieces of paper. Likewise, we’ve also forgotten that a mouse pointer is supposed to represent where our finger is on that desktop. Let’s think about how scrolling would work in a physical space. Let’s think of a web page loaded in Safari as a long piece of paper, while Safari is a fixed wooden frame around that paper. You can only read words on the paper if it falls within the inside boundaries of the frame. If you wanted to move the paper so that words that were below the lower boundary of the frame were within its viewing pane, you would have to use your finger to push the paper within the frame’s viewing area up towards the top. If you wanted to see words that were to the left of the frame’s viewing area, you’d slide the paper within the frame to the right. And so on. If you remember that a computer desktop is actually a GUI metaphor for a physical desktop, and virtual objects are meant to manipulated using the same physics as real objects, it becomes clear that OS X Lion’s so-called “reverse scrolling” is anything but. It’s actually realistic scrolling. Now that the way we think about scrolling has been adjusted, let’s practice. With Lion likely to drop as early as tomorrow, it might be a good idea to try to start training yourself in using its more realistic scrolling behavior under Snow Leopard. And luckily, there’s a great app for doing just that. The app is called Scroll Reverser, and it’s a free, easy-to-install utility that will flip Snow Leopard’s default scrolling behavior to function like Lion. Once you’ve installed the app in your Applications folder, load it up. Just opening the app will reverse your scrolling. Now you’re ready to practice. Practicing isn’t going to be easy, and ultimately, it’ll be difficult to scroll Lion-style before you reprogram your muscle memory. Just remember to think of your OS X desktop as a physical space and your open apps as pieces of framed paper that you are manipulating by sliding around with your finger. When you scroll in a frame, just remember that you are sliding that paper around on the desk in such a way that more of its contents are visible within the frame, which isn’t moving. • “Reverse Scrolling” is actually truer to the Macintosh OS desktop metaphor created by Apple back in the early 80s. • It’s more intuitive once you get the hang of it. • It’s a more realistic way to scroll. 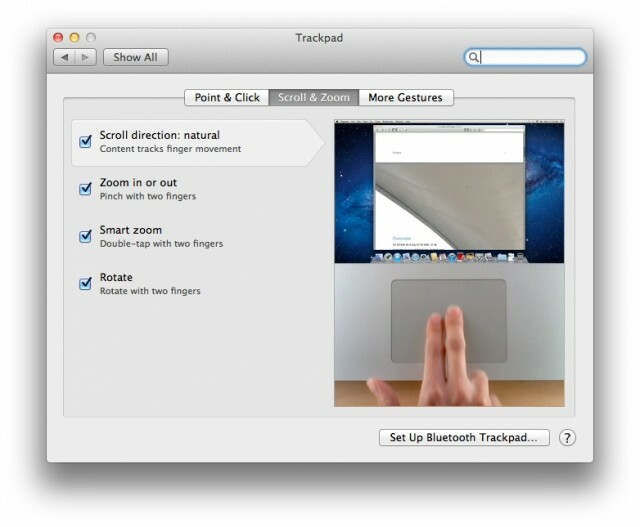 • It treats the multitouch trackpad not a as second-glass citizen to the mouse, but as the desktop and laptop equivalent to an iPhone or iPad’s touch display. Lion’s scrolling behavior is the future. As multitouch becomes increasingly integral to the way we interact with our desktops, the line is going to continue to be blurred between iOS and OS X. Lion’s just the first evolutionary step, and when it comes to scrolling, that’s a good thing. Apple’s re-emphasizing the desktop metaphor it helped create: windows and objects on your computer screen are supposed to represent real objects you are touching. “Reverse Scrolling” isn’t just some obnoxious whim on Apple’s part… it’s one of many steps Apple is making towards the touchscreen Mac. And hey, if you can read all that and still hate Lion’s “reverse scrolling,” don’t worry about it too much: you can always flip it back to the way it worked in Snow Leopard under settings.